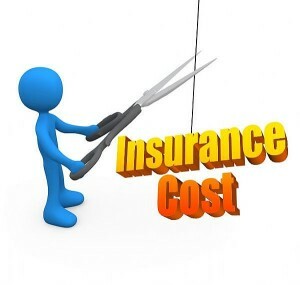 The average decrease in pure premium – the portion of the premium employers pay insurers to cover claims costs for job-related injuries and deaths – is part of a mixture of rate changes designed to invest in workplace safety and health programs while preserving historically low costs. • An increase in the premium assessment, which funds state costs of running workers’ compensation and workplace safety and health programs, from 6.2 percent to 6.8 percent. The increase is needed to invest in worker protection and related programs to keep pace with an expanding economy. • A decrease in the payroll assessment, which supports the Workers’ Benefit Fund, from 3.3 cents per hour worked to 2.8 cents per hour. The fund pays for highly successful return-to-work and other special injured-worker programs. It is financially stable to the point that a reduction in the assessment is warranted. The combination of the changes in pure premium rates and assessment rates is a net reduction in costs for the average employer. The average employer would pay $1.02 per $100 of payroll for claims costs and assessments, down from $1.10 in 2016. The decrease in pure premium is based on a recommendation from the Florida-based National Council on Compensation Insurance Inc. (NCCI), which analyzes industry trends and prepares rate recommendations for the majority of states. Pure premium reflects only a portion of workers’ compensation costs, but is the key factor behind annual cost changes. The decrease is an average, so an individual employer may see a larger decrease, no change, or even an increase depending on the employer’s own industry, claims experience, and payroll. Also, pure premium does not take into account the varying expenses and profit of insurance companies. The decrease in the pure premium is effective Jan. 1, 2017, but employers will see the changes when they renew their policies in 2017. The changes to the premium and payroll assessments are effective Jan. 1, 2017. Workers’ compensation pays injured workers for lost wages and medical care for job-related injuries. A steady decline in average medical care costs and stable wage replacement costs are the key factors continuing to drive down the pure premium. *Public hearing set for Monday, Oct. 17, at 8:30 a.m. at the Labor and Industries Building, Room 260, in Salem. **Public hearing set for Friday, Sept. 23, at 3 p.m., at the Labor and Industries Building, Room 260, in Salem.